Have you ever balled as hard as these newlyweds at Saturday’s Minnesota Wild game? 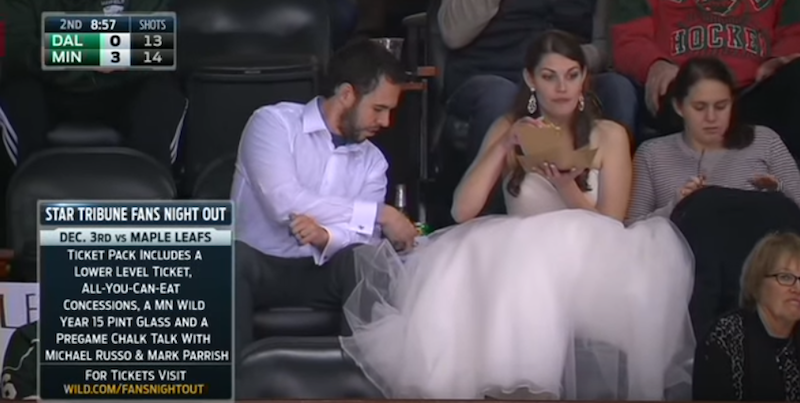 Specifically, have you ever balled as hard as this woman in a wedding dress eating a burger at a Minnesota Wild game? This is a baller move of the highest caliber. Dwayne Johnson would be proud.